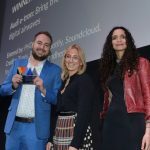 Marketing intelligence service Warc, has announced the winners of this year’s Prize for Connection Strategy which sees PHD Singapore scoop Bronze for Johnnie Walker Blue’s “The Gentleman’s Wager”. “The Gentlemen’s Wager” was Johnnie Walker Blue Label’s first centrally executed global digital campaign which was activated from August to November 2014 across 24 countries globally and 8 countries in Asia. The campaign redefined how luxury brands should approach storytelling in the digital space, with a smart mix of storytelling, and an innovative approach to digital content partnerships, all based on a strong insight into what makes the new luxury consumer tick. The Warc Prize for Connection Strategy focuses on channel ideas that deliver brand advantage. It is a global case study competition that looks for excellence in connection strategy, channel analysis and measurement.